Heat the pan with cooking spray. Beat eggs, garlic salt and chicken broth together and pour in hot pan. 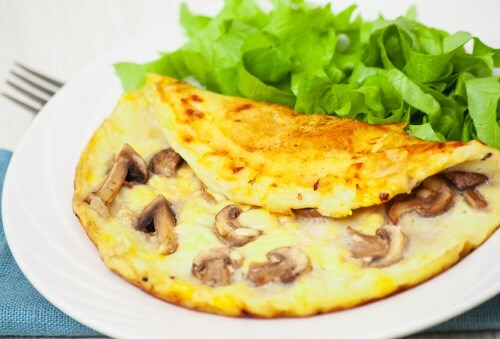 Make sure both sides of omelet are cooked.